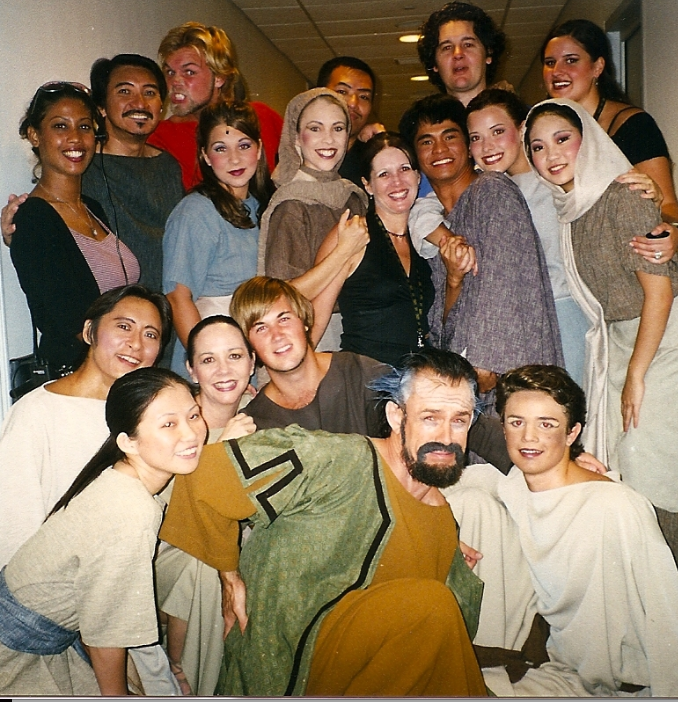 In 2001-2002 I played five roles in the musical Judah Ben-Hur in Singapore. So I went into an advance screening of Ben-Hur with a lot of hope. 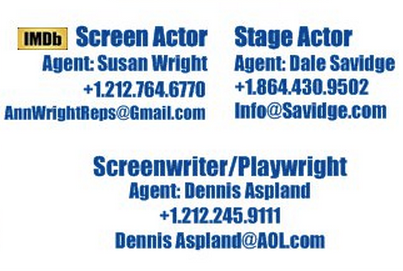 I'll start with the smallest role I had: There was a character who walked onto stage after blowing a trumpet. The actor couldn't play trumpet, so I played it for him and then handed it to him before he walked on. That's me and my pipa far right. I played a galley slave in the shadows behind Judah, and I was a musician in the tent of Sheik Ilderim (played in the current film by Morgan Freeman). I played a pipa like it was a guitar in a grand dance scene. I played Pontius Pilate, who had a much smaller role in the musical than he does in the current film. I basically sat on a couch eating grapes as I presided over the chariot race from about 15' up in the air. My main role in the musical was Simonides, the slave of Judah Ben-Hur's family and the father of Esther, Judah's love interest. In the film Simonides' only speaking roles are mumbled in passing, but the musical made much more of him, and it was a joy to be some of the comical relief in an otherwise very serious story. Lew Wallace's novel, Ben-Hur, is the basis of the 1959 film starring Charlton Heston, the musical, and the film opening in theaters nationwide this weekend. Simonides dies early in this film, but Wallace puts him at the crucifixion of Jesus, saying "Let us henceforth speak of him as the Christ," and Wallace says that Simonides "lived to be a very old man. The current film uses his early death in a strategic way, and I think it pays off. One of my favorite elements of the musical was that it opened with a solo by Balthazar, one of the three wise men, singing about traveling to and worshiping Jesus as an infant. Balthazar's presence at the crucifixion is poignant. Joyce captured this 33-year perspective in her one-woman one-act play "The Shepherd's Daughter." You can see her perform it in The Shepherds Cave in Bethlehem at www.RichDrama.com/ShepherdsDaughter. I was sorry Balthazar was left out of this film, but the different opening of the film has a huge payoff, which I'll allude to more in a moment. As with the 1959 version, no resurrection is shown in the current film. There are indications that the story ends before Easter, and there are miracles when Jesus says, "It is finished." The 1959 film ends on the empty crosses. The novel makes no mention of the resurrection either, but it makes it clear that Judah and his family are Christians, believing that Jesus Christ was raised from the dead without having been first-hand witnesses, as 2.2 billion people believe today. Wallace also shows Judah supporting the brand new Christian movement by giving toward an underground church (literally) meeting in the catacombs. Wallace says "Out of that vast tomb Christianity issued to supersede the Caesars." This film takes forgiveness even further than the novel, which was written by a man who had been a general during our Civil War. He may have felt his readers weren't ready to read what you'll see on the big screen. Though we're a deeply divided nation, we're not as far apart as we were in the mid-1800s, and I was delighted by the resurrected relationship this film shows. *Four possible misuses of God's name. It's possible they're genuine prayers, but it's unclear. *The PG-13 rating is for violence related to war, chariot racing, and crucifixion. If you're a parent of children and teens I urge you to read the article "Trained to Kill." *A woman's bare back is shown when her garment is ripped. *A married couple in bed with bare shoulders only talking. For a more detailed description of what's involved read PluggedIn's review. If you do prayerfully decide to take a young teen the film will offer opportunities to talk about choices the characters make before and after the influence of Jesus Christ on their lives.